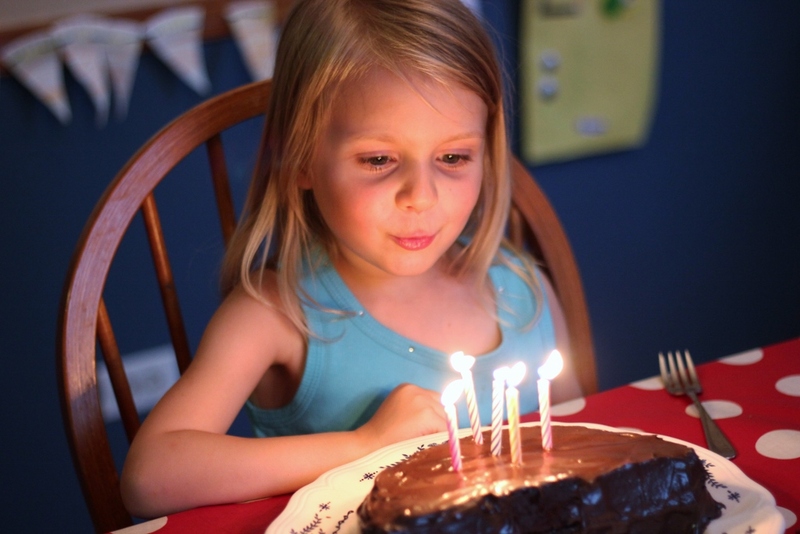 We’ve been celebrating Ellie’s birthday for days now, starting with our family birthday bash (5 birthdays in 3 weeks) at Yiayia’s house on Saturday. 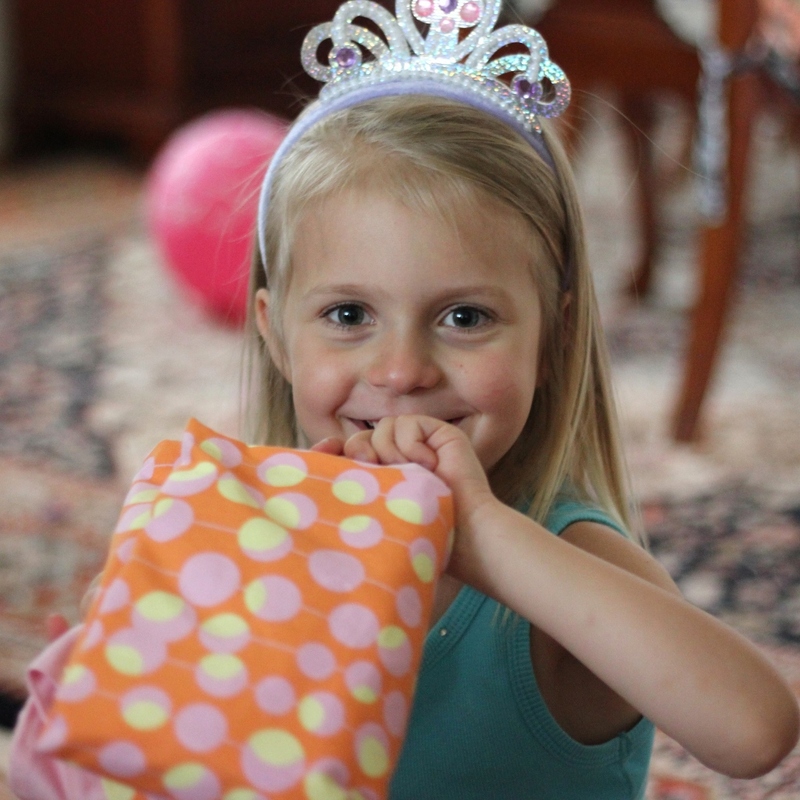 wearing her new favorite accessory, the tiara from Yiayia! 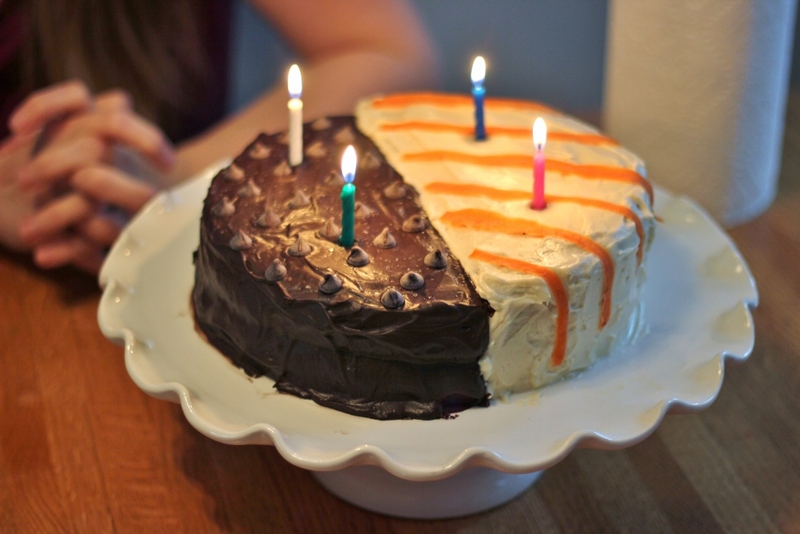 For the second year in a row, I made a dual-personality cake, chocolate for the chocolate lovers, spiced carrot cake for the more sophisticated tastes (ha!). Which side would you have chosen? Then, last night, we had her birthday dinner, joined by Pappou. She chose blueberry buttermilk pancakes with bacon, for the 2nd year running. 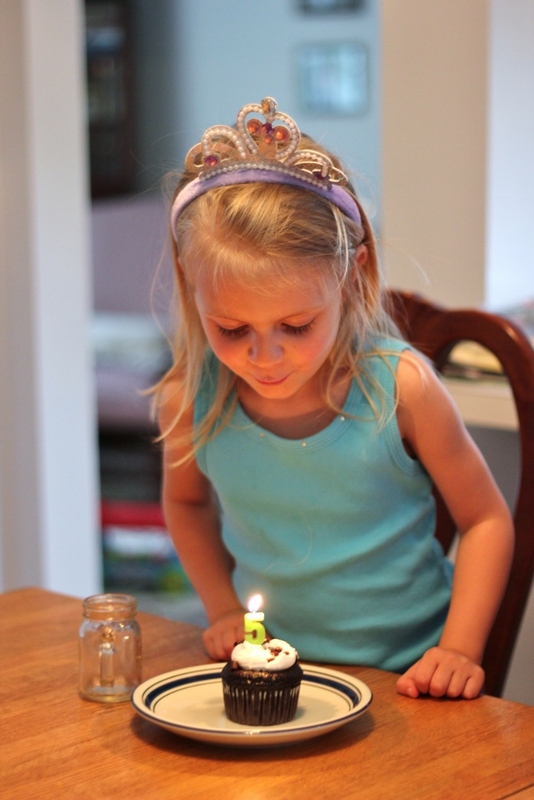 By tonight, her actual birthday, she was so exhausted she could barely eat dinner and so, we managed to blow out the candles, open one last little present, and we’ll eat her cake tomorrow. putting her “little skinny markers” (a birthday present from Grandpa) into the pouch I made her at 4:00 this afternoon in the hopes that they might be safe there from her little brother. I’m not feeling too optimistic about that one! 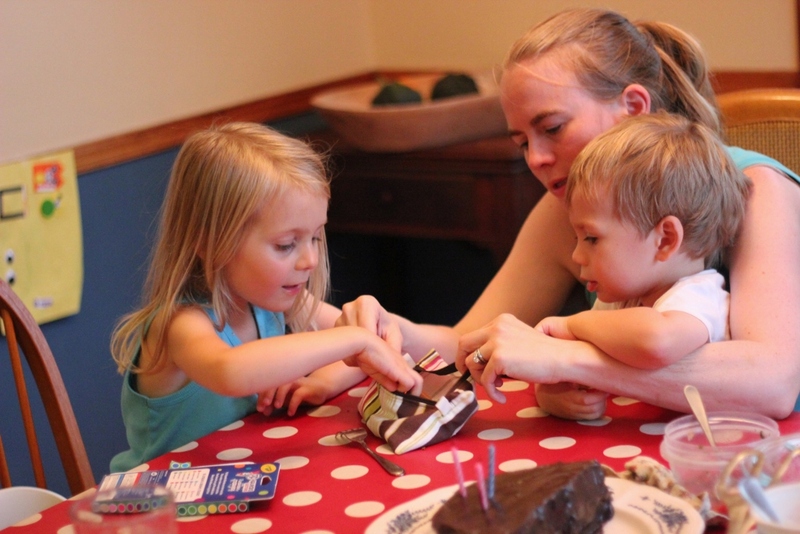 It’s hard to believe that it was five years ago today that Ellie joined our family. She amazes us every day with her insatiable drive to create (the way she consumes art supplies…), her perceptive comments about friends and family, her incredibly fertile imagination, and her dawning desire to write. 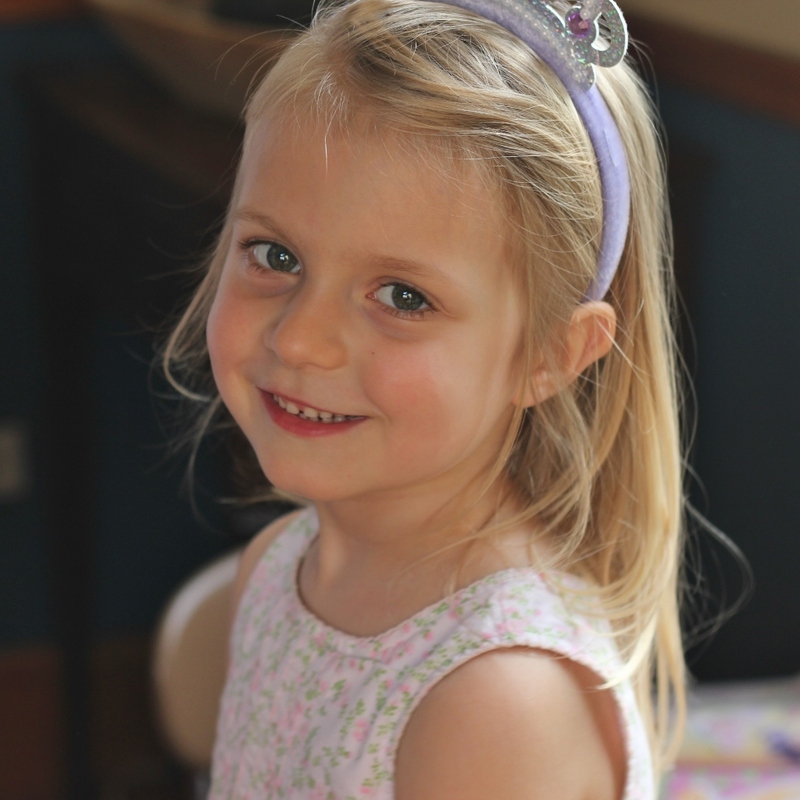 She fills our house with light, love, and energy and we can’t imagine life without her. We love you so much Ellie! May God bless you and keep you and bring you peace in this coming year! 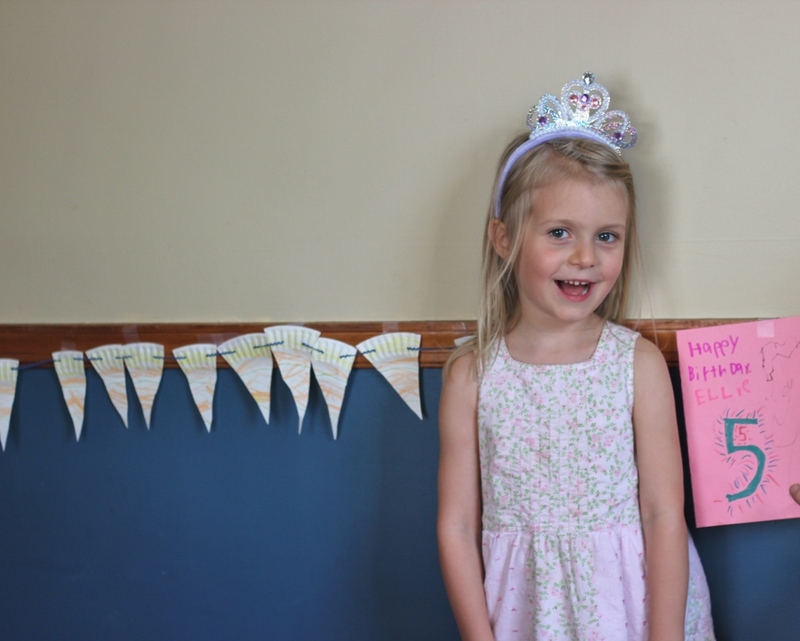 Here’s Ellie’s 1st, 2nd, 3rd, and 4th birthday posts. This entry was posted in Ellie, holidays. Bookmark the permalink. 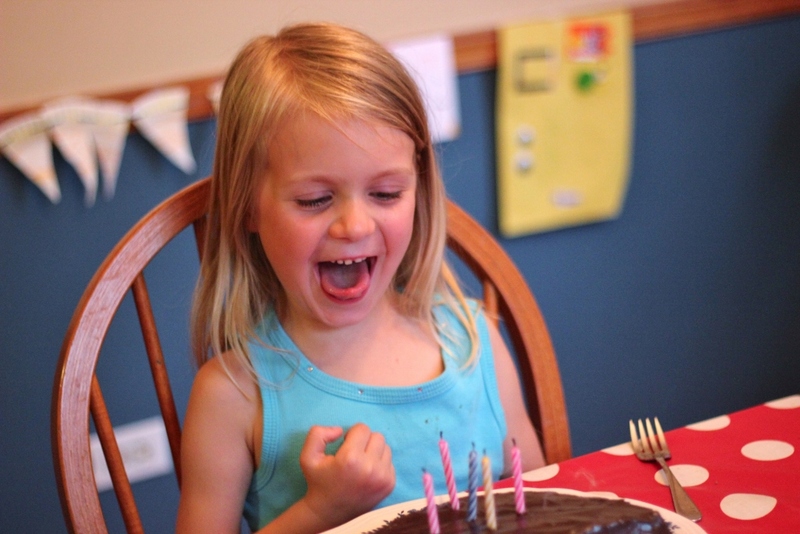 1 Response to You Blink and Then…She’s Five! Oh my, what a beautiful little girl Ellie is! That last picture is SO sweet! Can’t wait to see her soon!